You must have heard of Wi-Fi, the wireless way to access Internet. You might be even using Wi-Fi to read this article. Did you ever think just switching on a light bulb would help you get connected to the Internet? And not just Internet, lightning speed Internet! Well, we are talking about Li-Fi, the future of Internet technology. Let us learn more about what is Li-FI and how does it work. Li-Fi is the latest technology that appears to an idea be right out of a sci-fi comic book. Velmenni, is an Estonian startup that uses Li-Fi enabled lightbulb. This lightbulb helps in transmitting data at the speed of 1 gigabit per second (Gbps). This makes it 100 times faster than the speed of Wi-Fi technology today. Li-Fi is a visible light communications (VLC) technology. It can provide high-speed, bidirectional, and networked mobile communications. It is supposed to be more secure, with less device interference as well as high-speed connectivity. Li-Fi was invented by Harald Hass during a TED Talk. He spoke about using lightbulbs as wireless routers. Many thought his idea would soon be forgotten like other ‘big ideas’. However, he came up with pureLiFI with the help of group of people who researched on this technology since 2008. An overhead lamp is fitted with and LED. This LED is not any normal LED, but fitted with a signal-processing technology, that is, a semi-conductor device. It streams data that is embedded in its beam at ultra-high speeds. This speed is equal to photo-detector. With the help of a receiver dongle it converts tiny amplitude changes into electrical signal. This is then converted into data stream that is transmitted to computers or mobile device. Can All LED Bulbs Be Used as Wireless Routers? According to Haas, a tiny chip inserted into a LED lightbulb will help in transforming it into an ultrafast wireless router. A single LED bulb will serve as a source of illumination as well as wireless data transmission. Although Li-Fi will provide a cleaner, greener and brighter option in the future, it has its downside. Li-Fi cannot pass through walls like Wi-Fi. Thus, you need to place LED lightbulbs with the microchip throughout the house to get seamless connectivity. Li-Fi won’t work outdoors too, so getting public Li-Fi areas won’t be a possibility for now. And one has to keep the light on at all times to get connectivity. However, this may not be feasible environmentally as well as practically in homes and offices during daytime. Li-Fi won’t be replacing your W-Fi router anytime soon. So, do not throw out your routers just yet. 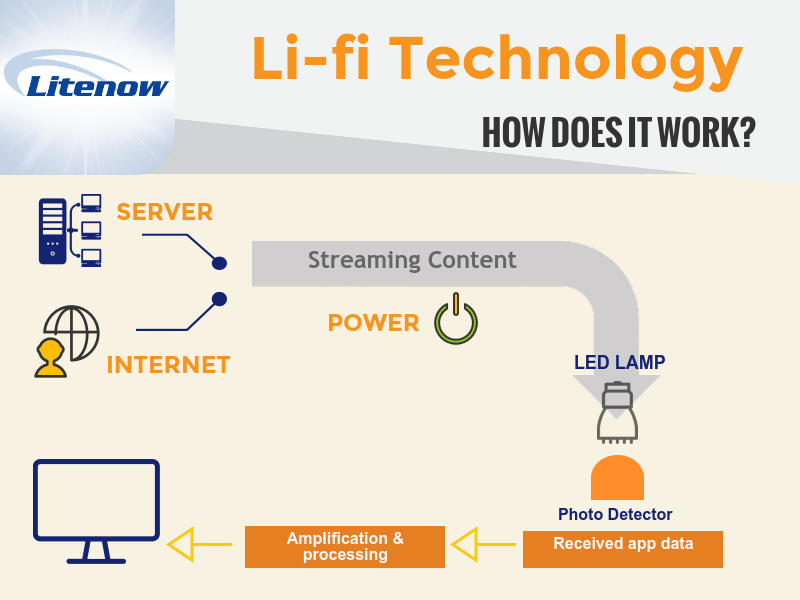 Li-Fi does promise a seamless experience, but will take time to be seamlessly integrated with day-to-day life. Human life will become microchip soon!